Tomorrow We Sail are a classic example of the kind of band who exist outside of their geography. Based in Leeds, the six-piece aren’t generally renowned as part of the local scene or prominent gig-wise, but have a reach that exists in the ether of the virtual world and into mainland Europe. Four years on from their debut, the collective have evolved their brand of folk-infused string-soaked post-rock into something even more unique. Subdued, strolling beats and rolling piano provide the rhythmic backdrop to the nagging strings and aching vocals on the opening song, the six-minute ‘Side By Side’. It breaks into a sustained crescendo after just a couple of minutes, but it’s more a case of upping the volume and the intensity than hitting the soaring peaks which characterise so much ‘classic’ post-rock. And perhaps this is the key to the differentials which separate Tomorrow We Sail from their peers, and indeed, any other act. 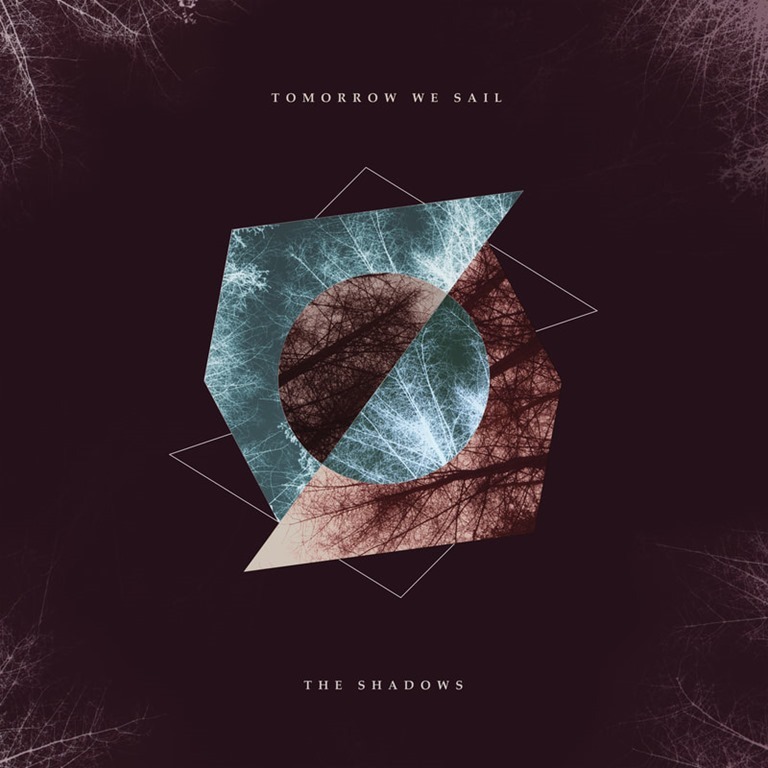 The Shadows is a careful and poised album which exploits the dynamic tropes of post-rock but in a contained fashion. There’s certainly nothing as expansive or sprawling as 2015’s ‘Saturn’, with its twenty-minute duration, or even the single ‘Rosa’ from the first album with its thirteen-minute running time. The Shadows is altogether more concise and all the more intense because of it. Moreover, the context feels different, the slant altered somewhat. In some respects, the context is that this doesn’t feel like a ‘Leeds’ album. Even when the city was post-rock central a decade or so back, with iLiKETRAiNS (as they were then styled), Vessels and adopted Leeds friends Her Name is Calla all over everywhere, there was nothing this folksy or parameter-pushing as The Shadows, an album which expands the limits of post-rock. ‘The Ghost of John Maynard Keynes’ really pitches the folk aspect of the album to the fore, with a chorus of voices giving the almost shanty-like folk tune a lilting aspect. There is unspeakable, throat-tightening beauty in the piano-led minimalism of ‘To Sleep’ which calls to mind the very best work of the now-defunct Glissando, and at the same time harks back to their debut. The Shadows is a well-balanced collection: understated, delicate, melodic, it exists, as the title alludes, in the spaces between light and dark, exploring with deftness and sensitivity the infinite shades between.